Toddler School Kansas | Enroll Your Toddler into Classes at Kiddi Kollege! Our toddler classroom creates inviting, hands-on activities that allow for much exploration. Each day is packed with carefully designed, structured activities. 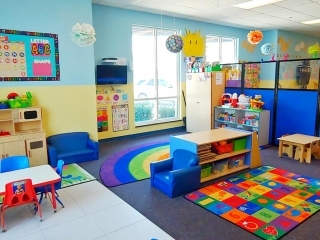 In a toddler classroom, learning spaces can offer an outlet for young children to learn through play and communication. 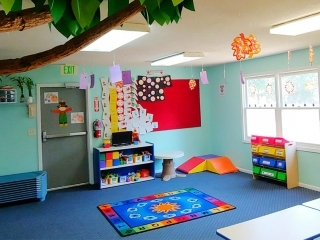 These inspiring spaces for young children provide a place to do fun activities while also building the skills toddlers are already learning. 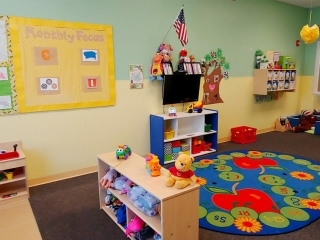 Classroom activities emphasize toddler cognitive and physical milestones such as increasing verbal skills, self-awareness, social interactions, self-help skills for eating and dressing, walking and running. Our toddler classes use a curriculum designed around nurturing a child’s curiosity through exploring and play. Kiddi Kollege has also developed their own daily curriculum, lessons play and themes throughout their 50+ years in the early educational field. These programs focus on enhancing and encouraging the simple joys of childhood. Our teachers support and nurture each child’s curiosity to learn, feel and explore.